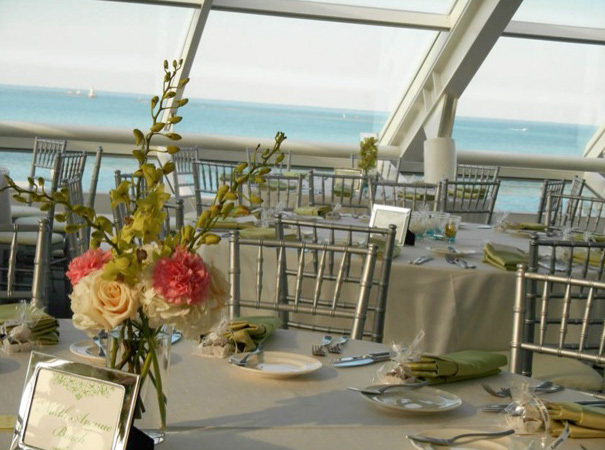 Meghan’s spring wedding took place at the Chicago planetarium. 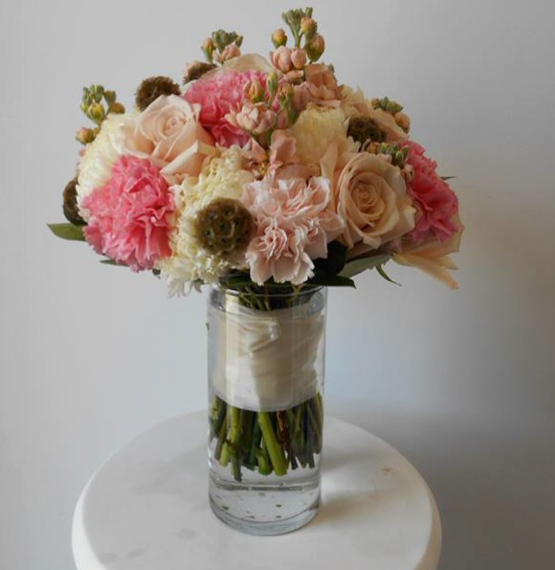 The color scheme was pink and white and had a very contemporary theme. 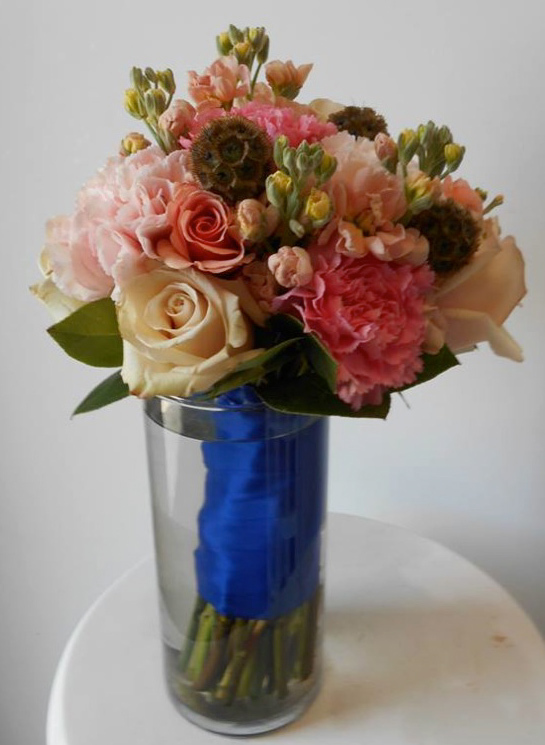 The bouquets consisted of scabbies, stock, roses, and carnations. 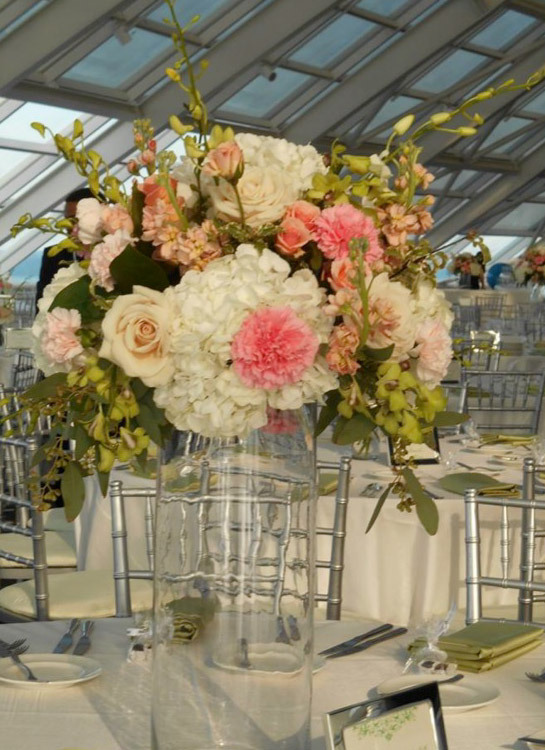 The centerpieces were bold and bright and reflected the modern and classy image.